This week we asked: What does elimination communication look like? 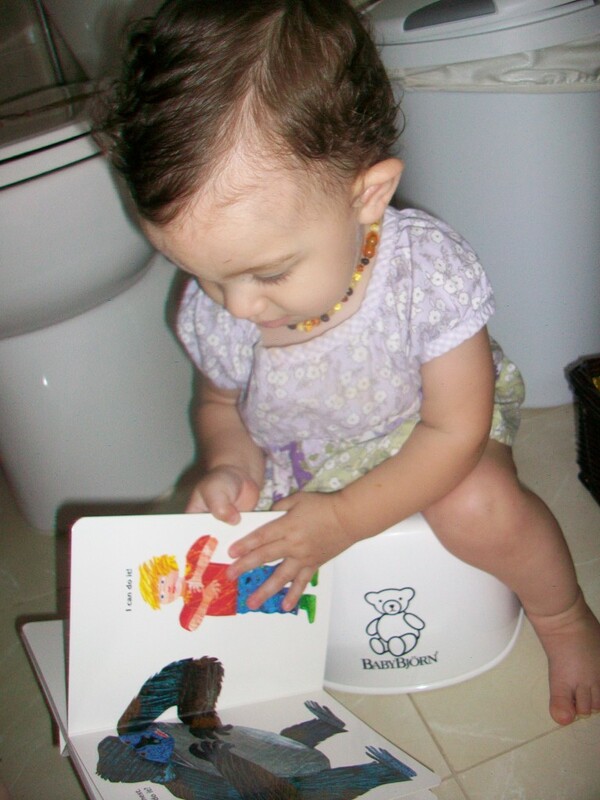 Here 9-month-old Annabelle, who has been practicing EC since birth, reads a story while sitting on her Little Potty. Annabelle’s mama blogs about their EC journey, among other things, at The New Mommy Files. This picture will come out to embarrass Mikko (11 months here) when he brings a date home to meet Lauren, who blogs at Hobo Mama. 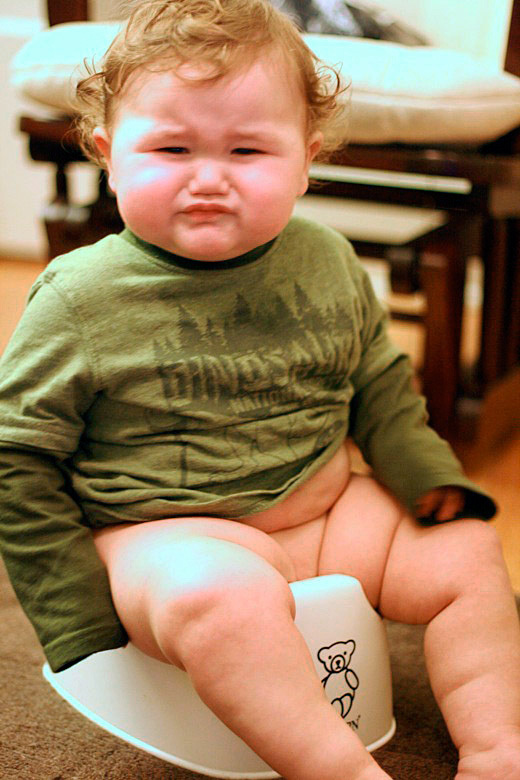 Sitting on the potty all by myself at 6 months old. Jennifer blogs at The Wilson-Parkes Family Tree. Tell us: What does EC look like for your family? I love these! That photo of Mikko will definitely be good material for when a bit of lighthearted embarrassing is in order! Hi! I am a new follower from today’s blog hop. I am looking forward to reading more of your blog. Come check out my new blog hop Thrifty Thursdays. Blessings! Yep definitely some embarrassing photos there for the later years! I’ve heard of EC but never learned much about it. 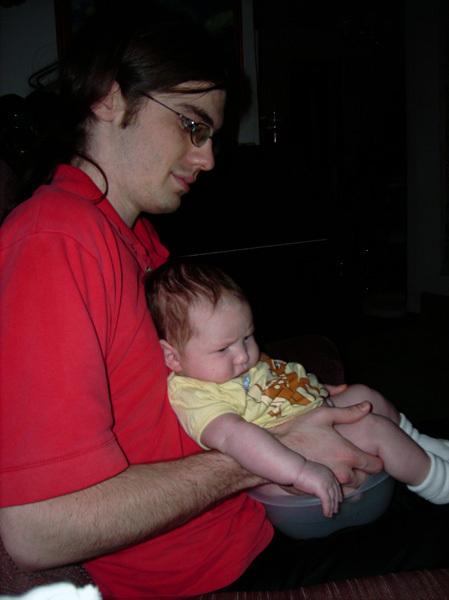 We struggled big time to potty train our daughter, she didn’t get it until a month before she was 3. Love these! I wish I would have educated myself more on EC when my second was born. I think she would have been an excellent ECer. She hates anything in her diaper. She’s 17 months now, so I’m not sure if it’s too late to start, or if I should just wait until she’s ready to potty train on her own at this point. If she seems resistant, you could always back off. A lot of toddlers like the novelty of going in a little potty or on the big toilet. Thanks! I will definitely look into this further. My post today is about a little boy wearing a silly hat and my thoughts are that one day he will be mad at his mommy for making him wear it. When I saw your post I had to laugh out loud! Someday, someone is going to be very unhappy with you! I can’t even imagine. You have some wonderful patients. These pics are too cute! Oh dear. Mikko may not be thrilled with his shot. LOL. Quite funny though. Lauren that photo is fantastic! 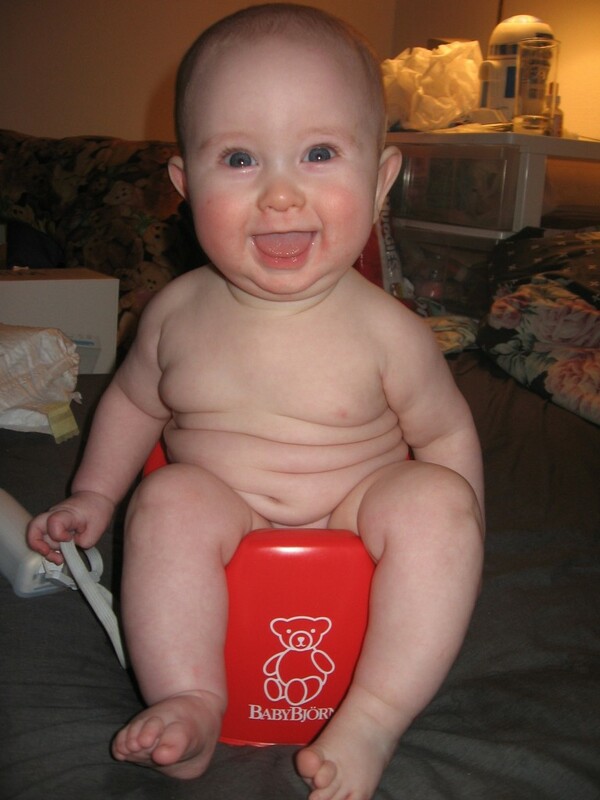 Look at all the baby chub rolls!! Squee! I have a few photos like these of my son. Sure to embarrass him in about 10 years!